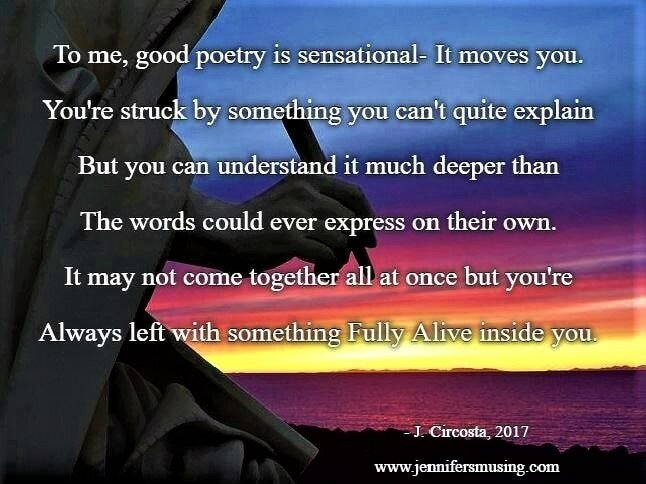 To me, good poetry is sensational- It moves you. Much deeper than the words could ever express on their own. Left with something Fully Alive inside you.